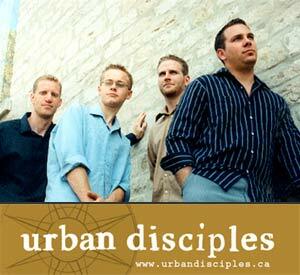 The Urban Disciples are known for putting on a great live show driven by fresh, original, pop rock alternative music, with improved antics and interaction that will leave you at the edge of your seat. You can expect to hear a broad mix of electric and acoustic-based music with insightful lyrics. Among the barrage of popular influence like Jars of Clay, Matchbox Twenty, Vertical Horizon, U2, REM, Tragically Hip and BNL, Urban Disciples relay their music and message with catchy songwriting, originality and integrity.